Sinn Fein have selected Councillor Martin Kenny as the party's general election candidate in Roscommon-South Leitrim. 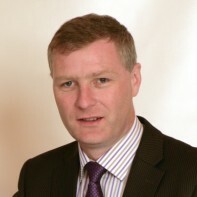 The Aughavas man was first co-opted on to Leitrim County Council in 2003 as a replacement for party colleague, Liam McGirl, and was re-elected in both 2004 and 2009. Kenny was also Sinn Fein's general election candidate in 2007 where he managed to secure over 8 per cent of first-preference votes. Martin is married to Helen. They have four children, all attending the local National school.